The Proof Fairy offers affordable web design for authors, small business, charities and organisations. My websites perform well on search engines and will help people find out more about you. Research has found that 54% of small businesses don’t yet have a website – and 58% of those businesses that don’t have a website don’t believe they need one. Yet when those same business owners were asked if they would spend money with a company that didn’t have a website, a resounding 81% said NO! However small or new your business, having a website gives you credibility, makes you appear more professional and gives potential customers vital information about your products and services. If you are a charity looking to raise your profile or an author promoting your books you will find a website very useful too. Many web designers charge thousands of pounds for web design. I understand that not everyone has that kind of budget – which is why I offer affordable web design. I use WordPress for all the websites I build, because it’s flexible and adaptable and results in professional, modern affordable websites. WordPress actually began life as a platform for blogging but has become one of the best content management systems around. It’s easy to use but can be time consuming to set up, especially if you aren’t familiar with how it works. However, once set up you will be in total control of your website and will be able to update content whenever you want to. You won’t be reliant on a web designer to make changes for you – though I can do that for you if you prefer. Why use The Proof Fairy for your website? There are thousands of web designers out there – so why would you ask me to build your website? I believe in giving customers what they want – not what I think they want. I’ll also work to your budget – however small it may be. Whether you want a simple, single page website, or one with dozens of pages of content, I’ll listen carefully to what you need and create a website that works for you and your business. As part of the package you’ll receive an e-book manual to show you how to maintain and change your website, and 30 days’ telephone and email support. You can also add on things like social media integration, photo galleries, forums and e-commerce – whatever you need, I can give you. 1. 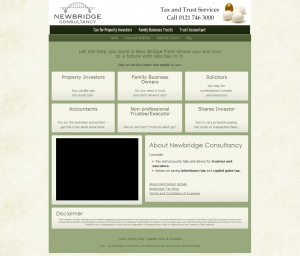 Affordable web design is just that … affordable! To keep costs low your website will be based on a WordPress theme which can be tweaked to give you what you want. This means that your website will be structurally sound, professionally presented and easy to navigate, but without all the “bells and whistles” of more expensive websites. There are thousands of themes available so your website won’t look like everyone else’s, and your website will be online within days and at a fraction of the cost of other sites. 2. I cannot guarantee to get you onto page one of Google. In fact, no one can guarantee to do that. During the design process I will use a range of SEO (search engine optimisation) techniques to give your website the best chance of ranking well for relevant keywords. I can also offer advice on ways to promote your website that will improve your search engine ranking. If you are really serious about SEO, I can send you details of an SEO service that will help you rank higher. Now that’s out of the way, this is what you’ll get for your money. How much does affordable web design cost? Have more specific requirements? Contact me for a quote. Once your WordPress website is up and running you have total access to it so you can update it whenever you want. However, if you would rather let someone else manage your site for you, click here to find out about the WordPress Maintenance Package. If you already have experience of using WordPress or another blogging platform and know pretty much what to do with it but just need a basic installation that you can customise yourself you may find the WordPress Installation package is more suitable for you. Alternatively, have a look at the UK-based web hosting deals available – which includes one-click installation of WordPress, Joomla, Drupal and more.